Ukraine signs a memo with Snam and Eustream. Naftohaz Ukrayiny, Ukrtranshaz, Snam SpA (Italy) and Eustream (Slovakia) on Monday, 10 April signed a memorandum of understanding on a joint assessment of opportunities for cooperation in the use and development of Ukraine's gas transport system (GTS). The memorandum was signed in Rome in the presence of Ukraine's Minister of Energy and Coal Industry Ihor Nasalik, EU Commissioner for Energy and Climate Miguel Arias Cañete, and Italian Minister of Economic Development Carlo Calenda, according to Naftohaz. "Among other things, the document aims to ensure the long-term stability of Ukraine's natural gas transport in accordance with the standards of European markets, the safe and efficient use of the Ukrainian GTS, as well as transparent and non-discriminatory access to it by third parties in accordance with Ukrainian legislation," Naftohaz said. In the memorandum, the companies agreed to jointly assess the possibilities of using and strengthening the gas transport system of Ukraine to make it more efficient, modern and competitive. Naftohaz said the document was a "formal recognition of the interest of experienced European operators to cooperate on the management of the Ukrainian GTS". Prime Minister Volodymyr Groysman said on Facebook that the signing of the document was a "good signal of confidence in Ukraine and the importance of our GTS for Europe. We are confident that we will retain our position in the gas transport market. The cooperation will allow us to use international experience and knowledge to bring the Ukrainian operator in line with European standards." Groysman recalled that other European pipeline operators also expressed interest in cooperation and said his government plans to hold a competition for the best cooperation offer. "The final decision, in accordance with the law on natural gas market, will be up to the Ukrainian authorities," Groysman said. 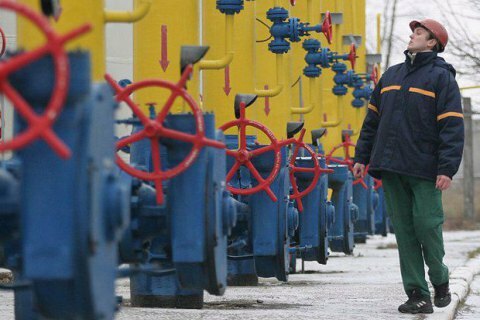 Under the law "On the reform of the management of the unified gas transport system of Ukraine", which came into force in September 2014, the GTS and underground gas storage facilities (UGS) shall remain in state ownership, but can be transferred to the management of specially created companies. The Ukrainian state will retain controlling stakes in such companies, while the remaining shares can be owned by European and US companies. The government announced plans to create companies running UGS and TCU with the participation of American and European partners. The document removes restrictions with regard to the lease or concession of main gas pipelines and UGS facilities to such companies without the right of alienation. The company Snam uses and develops the largest (over 40,000 km) and the most diversified pipeline system in the EU, the largest storage infrastructure in the EU with a capacity of 19bn cu.m. and one of the first LNG terminals in Europe. Snam's investments across Europe are aimed at integrating the networks of the European energy community and promoting gas as a key element of sustainable energy. Eustream is the owner and operator of one of the largest transport systems in the EU, delivering gas to Slovakia and across Slovakia to European markets. Eustream boasts direct and two-way communication with Ukraine and is a long-standing partner of the Ukrainian gas transport system.